IT'S FUN BEING FRESH AND FLIRTY AND PRETTY IN PINK! Inspired by the 1950"s. Sweet pinafore style apron is cut entirely on the bias for a nice drape. Sweet collar is trimmed with a button. All seams are encased. Apron is 29 inches in length from top of bib to hem. Tie end to tie end is approximately 50 inches. Please see my profile for more information. 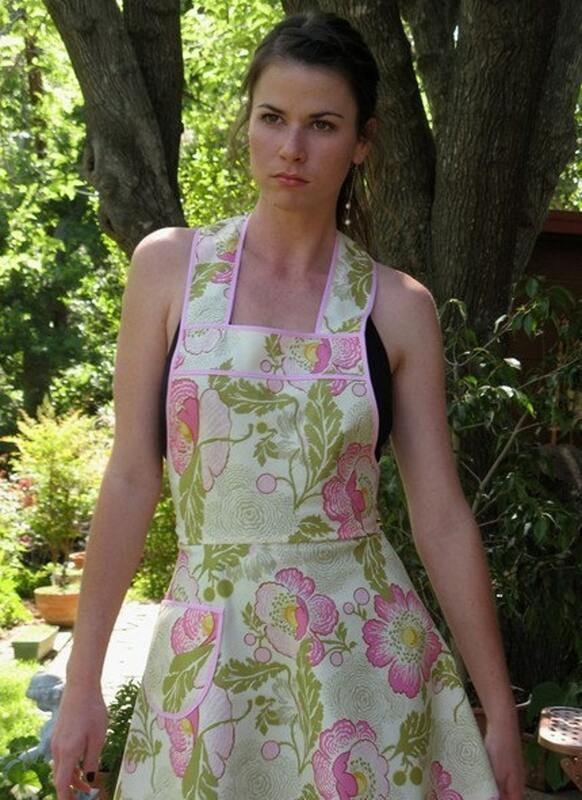 Adult apron is available in the regular size only. NOTE: I combine and refund any excess shipping costs.